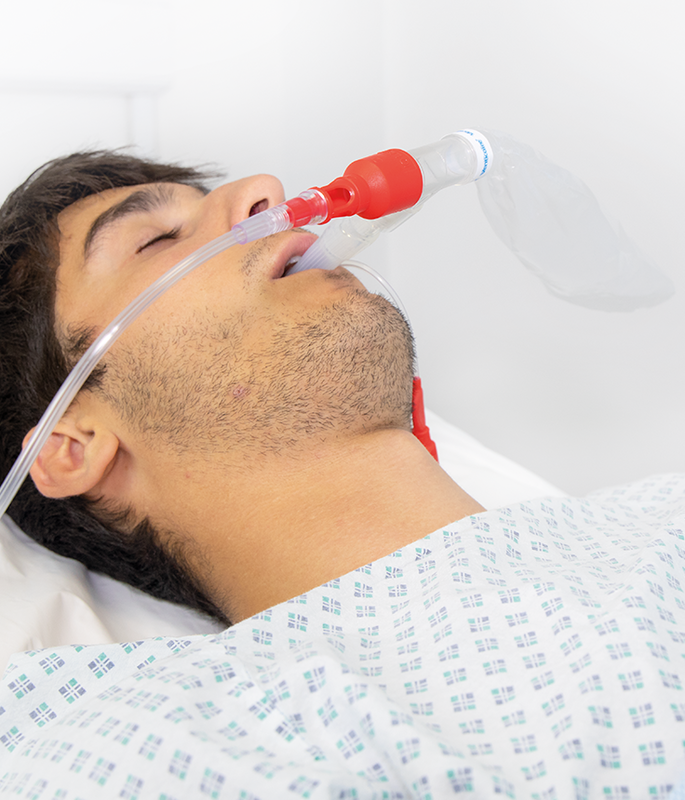 FCOT is a complete solution for delivery of 40% oxygen to post-op adult and paediatric patients with a laryngeal mask, through recovery to the ward. Condensation on the T-Piece and Indicator Bag inflation/deflation cycle clearly shows the patient’s breathing pattern. 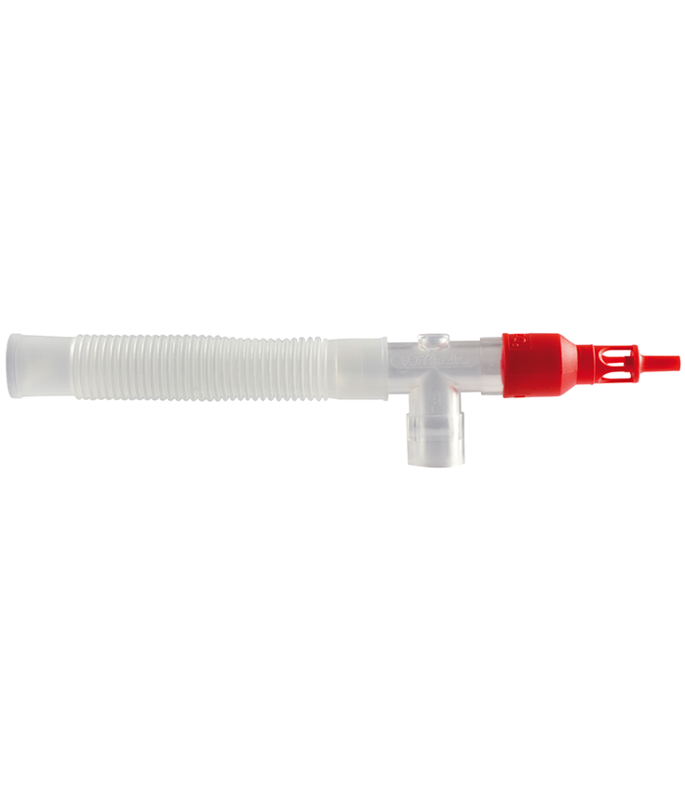 Complete kit with 40% Venturi, T-Piece with Indicator Bag, Mask and Star Lumen Oxygen Tubing provides a convenient and cost effective solution. The high flow of oxygen enriched air inflates the Indicator Bag and flushes expired gases out through the vents, eliminating rebreathing. During inspiration the Indicator Bag acts as a reservoir, preventing dilution of the inhaled gas by ambient air. When the laryngeal mask is removed, simply replace the T-Piece with the Aerosol Mask included in the kit for continued oxygen therapy during transfer back to the ward.